WHAT IS THE USAGE AREAS OF FILLERS? Nasolabial lines (lines extending from sides of the nose to sides of the lip): The fillings made in this region last up to one year. Lip filler; Hyaluronic acid fillings can be used to replenish the lips. Marionette lines (perioral lines) formed around the lip can be removed by filling treatment. Grooves around the nose and mouth; starting from under the nose, lines or grooves extending towards the sides of the lip can be filled with hyaluronic acid fill or fat transfer. Cheeks, temples and lower eyelids can be augmented with hyaluronic acid treatments. Scars; any surgery or patches formed after acne can be brought to a less noticeable position with a filling. Recently the hyaluronic fillings are made specifically for filling the cheeks and they last for two years (ultra-deep fillers). HOW LONG DOES THE FILLING APPLICATION TAKE? Usually it takes about 20 to 30 minutes. You can return to normal life immediately after applying. There is no pain in the application area since local anaesthetic cream is used and some fillers contain local anaeasthetic in them mild swelling and redness can occur and it may take several days to settle down. The effect of temporary fillings varies between 6 months and 24 months. This time varies depending on the content and density of the selected fill. Small molecule fillings are injected into more superficial lines and are easier to dissolve by the body. The molecules of the deeply filled pockets are larger and stay longer in the body. 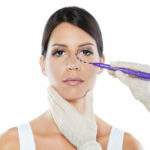 IS IT POSSIBLE TO HAVE ANTI WRINKLE INJECTIONS AND FILLERS TREATMENT AT THE SAME SESSION? Yes. Each person has different facial expressions and anti wrinkle injections and filling applications can be done together following analysis made by Mr Erel. The filling can be applied with anti wrinkle injections in patients with deep lines, especially between the two brows. After the first application, you should go to the doctor again within one month. It is possible to get much better results by making minor interventions in the area where your doctor thinks it is necessary.